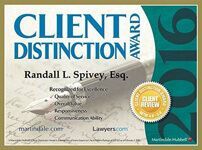 Randall Spivey is Board Certified by the Florida Bar in Civil Trial Law, an honor achieved by only 1% of Florida lawyers. He has represented people in thousands of personal injury and wrongful death cases throughout Florida for over two decades. The Spivey Law Firm, Personal Injury Attorneys, P.A. strictly limits its practice to personal injury and wrongful death cases. Randall Spivey will personally handle your case. Most importantly, The Spivey Law Firm, Personal Injury Attorneys, P.A. provides personal contact and communication along with aggressive representation. "My wife and I had the absolute pleasure of being represented by Randall Spivey for a case my wife was injured in. Mr. Spiveys entire operation top down is first class in every way! The quality of representation and eventual outcome in our case far exceeded our expectations." 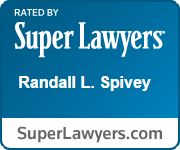 Randall L. Spivey is the President and founder of the Spivey Law Firm, Personal Injury Attorneys, P.A. 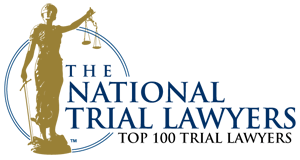 He has litigated all types of cases involving catastrophic personal injury and wrongful death in Florida. 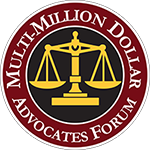 He is a specialist and a Board Certified Civil Trial Attorney. 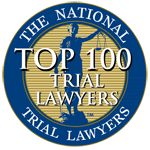 Only 1% of Florida lawyers have achieved the honor of Board Certification in civil trial law. Board Certification is the highest level of recognition by the Florida Bar of competency and experience of attorneys. The lawyers of Spivey Law Firm are dedicated to representing victims who have suffered injury or death due to the negligent acts of another person, corporation or entity. All of our client’s cases are personally handled by Randall L. Spivey, the firm's president and founder. Randall Spivey is a Fort Myers personal injury attorney who has achieved Board Certification by the Florida Bar in civil trial law, an honor that only 1% of the lawyers in Florida have achieved. Spivey Law Firm, Personal Injury Attorneys, P.A., strictly limits its practice to representing people and their families in personal injury and wrongful death cases, which has allowed the firm to develop specialized skills and experience in this area. Randall Spivey is committed to passionately representing the victims of accidental injury or wrongful death, whether those accidents are caused by distracted drivers, drivers who fall asleep at the wheel, property owners who fail to properly maintain their property in a safe condition, or drunk drivers. All too often, drivers destroy families by taking lives or causing permanent injuries to others when they drive in a negligent, careless, or downright reckless manner. While drivers may be punished through the criminal justice system in some cases, such as in the case of a drunk driver or a driver who was under the influence of illegal drugs, such punishment does not undo the injuries that the victims have suffered. Fortunately, a civil personal injury or wrongful death action can help redress some of those wrongs through financial compensation. Fort Myers personal injury lawyer Randall Spivey has achieved record verdicts and settlements against drivers, property owners, and other negligent parties in court throughout his distinguished career. The Spivey Law Firm, Personal Injury Attorneys, P.A., utilizes its team of skilled paralegals, investigators, nurse consultants, and experts to provide experienced and skilled representation in your personal injury, accidental injury or wrongful death case. For more detailed information on our victims of DUI practice, visit our sister site: hurtbydrunkdriver.com. Fort Myers personal injury lawyer Randall Spivey personally believes in his clients and their cases, and devotes himself to developing cases with the utmost passion and commitment. 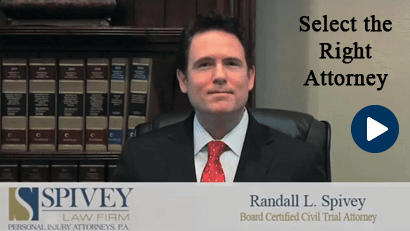 Randall Spivey operates under the philosophy that if your own lawyer does not believe in your case, then he or she cannot effectively convince the insurance company or a jury to award damages. Mr. Spivey personally stands behind all of the clients whom he represents, and all of the cases that he handles. 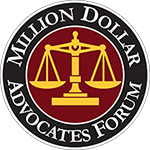 He will evaluate your case, investigate the incident, collect evidence, and develop a case strategy to aggressively advocate for your case. He collaborates with his team of legal professionals and expert witnesses, and utilizes state-of-the-art technology in order to provide the highest quality of legal representation. Clients of Spivey Law Firm, Personal Injury Attorneys, P.A., pay no attorneys' fees or costs unless our firm obtains a monetary recovery for you. You pay no upfront expenses and receive no monthly bills; the firm advances all costs on behalf of the client. We understand the financial pressures that you may experience when you or a loved one has been seriously injured. Offering contingent fee arrangements is just one of the many ways that the firm demonstrates its commitment to your complete satisfaction. If you believe that you may have a personal injury or wrongful death claim, contact The Spivey Law Firm, Personal Injury Attorneys, P.A. today. The law imposes strict time frames for the filing of lawsuits, so it is important to seek the help of an experienced personal injury lawyer in order to preserve any claims that you may have whether in Fort Myers, Naples or the surrounding areas.